Are You Interested In Joining The Charlottesville Aquatics Team? If you are a skilled craftsman, designer, retailer or other individual who shares our passion for exceeding customer expectations by going above and beyond the norm, then we may have an employment opportunity for you. But first, let’s make sure you’re a good fit for us, and we’re a good fit for you. Before you contact us for employment, please be sure to review our website thoroughly, paying special attention to our “About Us” page. Dedicated to serving the homeowner. Willing to work early, stay late or both as needed to meet our customers’ needs. A properly documented worker who is interested in a long-term position with a unique company. If the above applies to you, please fill out a job application form at the bottom of this page, and explain why you think you’re a good fit for us. Bring it by our retail store at 3275 Berkmar Drive, Charlottesville, Virginia, 22901, and/or call our office for a possible interview, at (434) 973-7433. Or, you can fill out the form and submit your resume below. If we have specific openings at this time, they will be listed below. Do you care about being known for doing a good job? 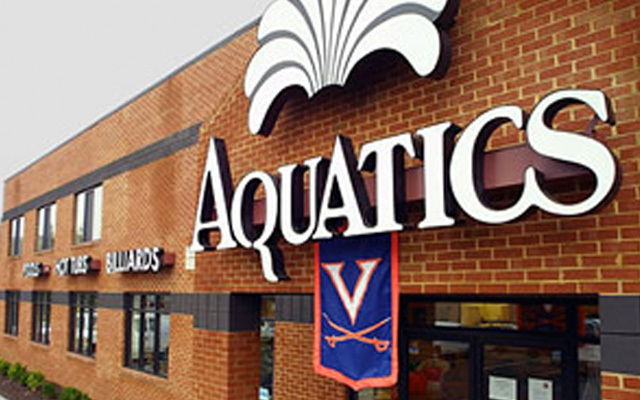 Charlottesville Aquatics, an award-winning, equal opportunity Virginia pool builder that is looking for a smart, friendly face to add to our service team. Established in 1973, our reputation has been built on providing pool service that sets us apart from everyone else. We believe that every job is an opportunity to show customers why we are the best. We are an upbeat, detail-oriented, helpful company with a “can-do” attitude. If this sounds like a good fit for you, please fill out the form and send your resume. At Charlottesville Aquatics, we view our customers as part of our family and we do what it takes to make sure they’re happy. We make it easy for our customers to work with us. We don’t wait for them to call us. We call them first because average isn’t good enough. We’ll be honest; Charlottesville Aquatics is not for everyone. If you hate teamwork, don’t like talking to customers, are inflexible, and resistant to hard work and professionalism, then we’re probably not for you. We’re looking for friendly, hardworking people who have a service-oriented attitude, understand professionalism, love to solve problems, and thrive in a fast paced service-driven environment. You must have an assist and support type personality and love doing whatever it takes to exceed customer expectations every time. Ethical, highly motivated, and takes pride and ownership in all tasks that fall under his/her responsibility. Meet scheduled deadlines in a fast-paced, service-driven environment. Good verbal communication skills and enjoys helping others. Positive attitude, strong work ethic, and willingness to learn. Flexible and able to work well with a diverse group of personalities. Possess and display effective listening skills with an emphasis on customer Satisfaction. A minimum of three successful years as a service technician. Thorough knowledge of proper swimming pool cleaning methods and techniques, and use of swimming pool chemicals. Electrical and plumbing experience is required. HVAC and gas experience a plus. Valid driver’s license and excellent driving record required. Ability to effectively present information and respond to questions from team members and customers. Must communicate with customers. We offer a competitive salary and cool benefits including paid time off, holidays, overtime and a Section 105 medical plan. Fill out the form and send your resume with a note telling us why you want to be part. EOE AA M/F/Vet/ Disability.